We also carry out a range of On-Site Repairs. 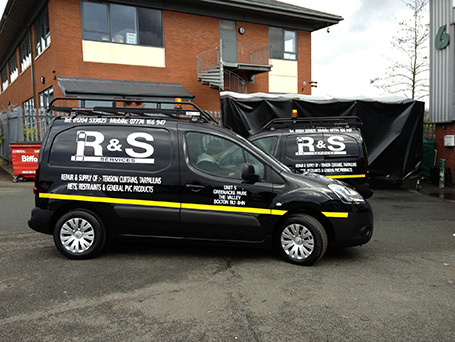 R&S Services provide a full service in the manufacture and repair of trailer sides and tarpaulins, and restraint netting and straps. A family firm with over twenty years experience, we are based in Bolton, with excellent access to all major centres and transport links in the North West. With premises designed with lorries in mind, our yard is large and accessible, and has excellent security. Our full and flexible service, and fast mobile response to deal with repairs, will keep your lorries safe, secure and on the road. Roy and Steve started working together in the 1980s. In 1991, they started up on their own, offering tarpaulin repairs on site, and soon expanded the business to include the provision of curtains and straps. 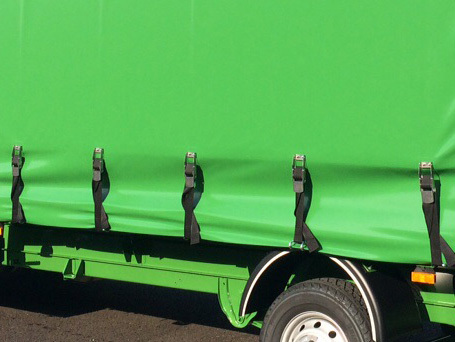 From this small start, and for the past eleven years including Roy’s son, they now supply curtainsides and restraints to companies in the North West and beyond. 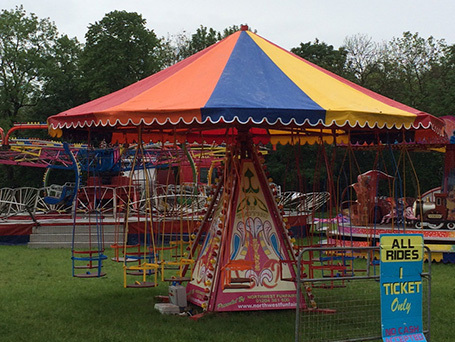 Their bespoke funfair covers can be found all over the world! Call or email to discuss your requirements, and find out how our services can work for you. For further details browse our other pages by using the headings above. 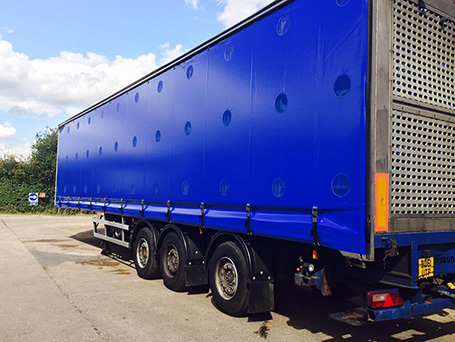 We provide a full and comprehensive service in the manufacture, sale and fitting of curtainsides. We make tarpaulins in all shapes and sizes, from boats and boxes to bespoke funfair covers, and supply across the UK and Ireland. We supply a full range of restraints, to ensure that your fleet is safe, and complies fully with safety regulations. Our repair service is fast, convenient, and designed to get you back on the road.